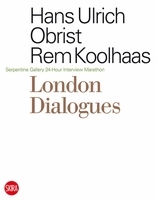 Paperback, 6.75 x 9.50 in. / 288 pgs / 70 color. Edited by Katya García-Antón. Text by Daniel Browning, Kabita Chakma, Megan Cope, Santosh Kumar Das, Hannah Donnelly, Léuli Mazyar Luna’i Eshraghi, David Garneau, Biung Ismahasan, Kimberley Moulton, Máret Ánne Sara, Venkat Raman Singh Shyam, Irene Snarby, Ánde Somby, Megan Tamati-Quennell, Prashanta Tripura, Sontosh Bikash Tripura, Liv Brissach, Katya García-Antón, Drew Snyder, Nikhil Vettukattil. Artists and cultural practitioners from Indigenous communities around the world are increasingly in the international spotlight. 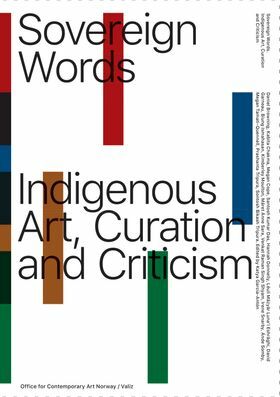 As museums and curators race to consider the planetary reach of their collections and exhibitions, this timely publication considers the challenges faced today by cultural workers, Indigenous and non-Indigenous, as they try to engage meaningfully with the histories, presents and futures of Indigenous cultural practices. 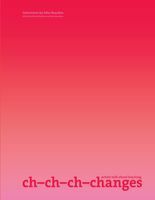 In this volume, 16 Indigenous voices convene to consider some of the most burning questions surrounding this field. What are the novel and empowering methodologies of the future? What are the possibilities and limitations of a politics of inclusion? To whom does the much talked-of “Indigenous Turn” belong? A first-of-its-kind reader appearing at a critical moment, Sovereign Words includes perspectives across art, film, ethics, history, theory and museology. FORMAT: Pbk, 6.75 x 9.50 in. / 288 pgs / 70 color.